I don’t ever remember being comfortable in my body. Not even as a little girl. I remember being 3 years old and having an uncle call me “fatty”, and my entire life my brother has tormented me about my weight. When I was in high school I started skipping meals and eventually developed full-fledged eating disorders. I initially thought I had the control but in reality, the disorders were controlling me. And so the struggle continued. My weight has almost always fluctuated – up and down, up and down – until I discovered fitness those years ago. I changed my lifestyle completely – exercising regularly and eating differently, and I saw the payoff quickly – losing close to 60 lbs in just about 3 months. I’d gained around 30 lbs after college and the extra weight that came off was bonus. I was quite thin for my frame and certain bones poked out here and there. I loved it. But I still wasn’t comfortable in my body. Starting off my exercise routine was pretty basic – a few times a week. Then, about 4 years ago I started doing Shaun T’s Insanity routine again. It’s a 60 days program where you work out 6 days a week. I did this program twice, back-to-back, rarely taking that scheduled day off, therefore working out nearly 120 days straight. I did another 30 day program, twice, back-to-back, not taking a single day off. Somewhere in and around these times is when I developed my exercise addiction. I didn’t realize at the time that I was actually doing a disservice to my body (and mind and soul). I was proud of my commitment to physical activity. I was excited that I had fallen so deeply in love with exercise and I craved it. I planned my days, no, my life around my workouts as they were the most important thing. I missed out on social events because they conflicted with my exercise time, If I had to travel I ensured the hotel had a fitness center and was certain to pack my gym clothes, and sometimes, many times, I’d double up on workouts the few days before just to ensure I had met my own personal quota. For a little while, it got to the point where I was working out two and three times a day just for the hell of it. I still didn’t see any issue with my exercise addiction. Then my weight started creeping back up. I didn’t understand it because I was exercising every day. So I increased my workouts and my exercise time. And my weight continued to climb, not a lot but enough to really piss me off – and confuse me. How was it possible that I was working out every single day; sometimes spending 3-4 hours at the gym, taking tons of fitness classes, running, strength training, you name it, yet my weight was still climbing. I was beyond frustrated. Every time I went to my doctor about anything, the subject of my weight came up and I’d end up in tears. One day this past winter I was having a conversation with a cousin and the subject of my fitness addiction came up and I got really emotional – choked up, teary eyed, cracking voice. It was the first time I realized that my love of fitness had gone beyond that and once again, something I thought I controlled was, in fact, controlling me. Unfortunately, I tried to ignore it. For me, the guilt of not exercising was so overwhelming that I just couldn’t fathom the idea of taking days off. So I didn’t. And I continued to struggle with my weight climb over the winter and spring. Then at the very start of summer I went to see a nutritionist. Although the offer for dietitians and nutritionists have always been there, it was the first time since my eating disorder days that I decided to speak to someone. And to be honest, the only reason I sought to speak to someone this time around is because it was my fitness instructor who’d just completed her nutrition course and, although somewhat intimidated, I also felt (semi) comfortable with her. She knew about my whacked out exercise habits – at least to some extent – and I told her that my weight was ever-increasing and I wanted to bring it down, especially since I was working toward my certification as a trainer. I wanted to get back to looking the part. After a little more discussion (and soul-baring) she determined that I have adrenal fatigue syndrome and over-training syndrome. That, because my body has been under constant stress for the last 4 years – with little or no rest – my cortisol levels have been elevated for so long and it’s the reason for my weight gain. She told me I had to start resting and with rest, eventually my weight should start to decrease. Coincidentally I had an appointment with my doctor the next day, discussed this all with her and she concurred. So I started taking rest days. And I felt no guilt. I feel no guilt. 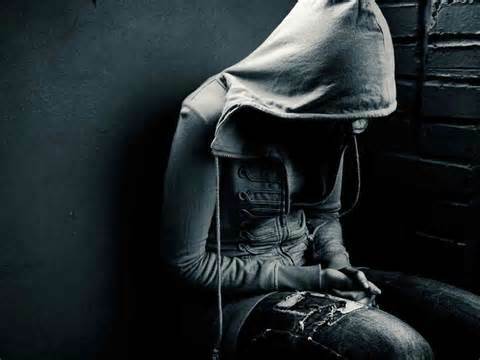 What’s really sad – really sad – is that, deep down I knew what the problem was. Hell, I’d JUST taken the PTS course and read over and over that one only need exercise 3-5 times a week. Yet, I did not allow myself off the hook that easy. I think maybe I needed someone to actually tell me that my over-exercising was the root cause of my weight gain but until that happened I wasn’t ready to let go of my addiction. 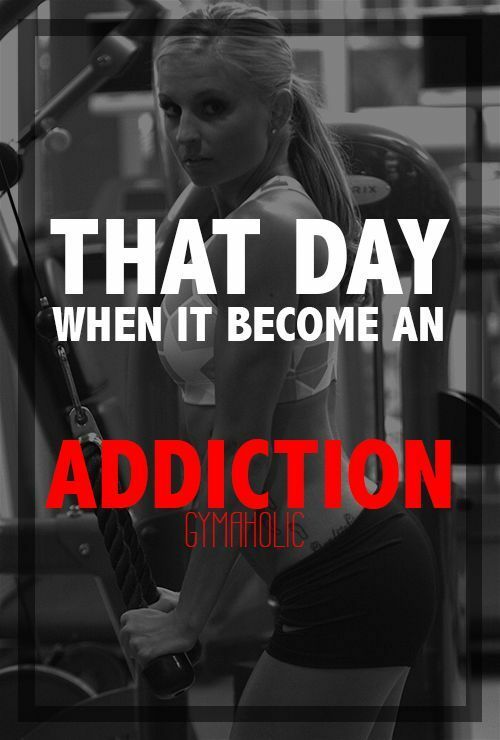 When it comes right down to it, addiction is addiction. If I were hooked on heroin or an alcoholic I wouldn’t be able to just quit in the instant because I knew it was bad for me. And even though exercise is wonderful and so good for your health, I couldn’t – no, I wouldn’t – allow myself to grasp that my over-training was detrimental to my health. I was so proud of my lifestyle change over the years and my successes that I was determined to keep going, to keep striving for this stupid idea of perfection, to finally feel comfortable in my body. I still haven’t reached that point yet. I have a feeling that this will be a lifelong journey and struggle, and although fitness and healthy living has become such a huge and important part of my life, that one little meeting back at the start of summer helped me realize that it doesn’t have to be my whole life. I met Leigh in high school. He is one of the sweetest, nicest people I know. And truth be told, I had me a little crush on him. He’s such a wonderful guy and, thanks to Facebook, email, and his mom (she’s awesome!!) I’ve been able to keep in touch with this dude over the years. So I was surprised to hear about Leigh’s health issues. Thankfully, Leigh had his “a-ha” moment and has QUICKLY turned his life around and he’s doing so wonderfully that I asked him to share his story. Here it is below. Leigh – YOU ROCK!! I was asked to put something together talking about my journey from being clinically obese to what I consider the beginning of a success story. At the beginning of July this year I was 184 cm (6 foot 1) and 132 kg (291 pounds). This gave me a BMI of 38.4. While a BMI never tells the whole story, that is well above obese. I told myself I carried it well. On July 3rd I was diagnosed with Type 2 diabetes which runs in my family. It is entirely likely that even if I were the picture of health I might have eventually developed diabetes but my lifestyle certainly accelerated the onset and I was prescribed Metformin. Suddenly I had a tangible goal in my mind. Get my blood sugar under control and if possible get off the medications. These were real and tangible goals for me with long term consequences I could understand. So the same day I started changing my diet. I hate vegetables but they were going to be my new favorite thing and what I discovered was that smoothies were an easy way to consume a lot of vegetables very quickly. And I started walking. My first time out I travelled 3.2 km and I averaged a kilometer every 12 minutes and now I can walk 5 km and take 9 minutes and 30 seconds per kilometer. In the evenings I did some strength training, a program called 90 Day Revolution by Jillian Michaels. Walking burns sugar and muscle building makes it easier to burn sugar in the long term. I started doing more research using resources like the Canadian and American Diabetes associations and my Google search history was full of “type 2 diabetes <insert food name here>”. What I learned was that I was putting a lot of effort into maintaining my weight. A lot of chips and burgers and fatty foods. So now with a diet consisting of a good breakfast of Special K or something like that, a smoothie or a spinach salad for lunch and a chicken wrap and something similar for supper and another smoothie, the weight started falling off. The smoothies helped me feel full between meals and I stopped snacking. Almonds helped for those in between times as well until eventually I wasn’t as hungry between meals. I needed and wanted less on my plate during a meal. I began to adjust and I was starting to feel better for it. I did run into a bump though. I am learning how to eat again. Somedays I have to actually look for ways to get more protein. I’m not hungry but I know I need to eat a little more. It’s a strange place to be in but it demonstrates for me how complicated our health is. So two months later I have lost just over 18 kg (40 pounds) which had reduced my BMI from 38.4 to 32.7 and I weigh 248 pounds. I have a ways to go, I want to lose another 18 kg (40 pounds). I’ve started at the gym and I am doing more strength training to build muscle (which helps burn sugar) but most importantly I feel like I have successfully changed my relationship with food. With the support of an amazing family and friends I can say I have a new lifestyle which no longer involves fatty foods and sugary treats. On a hot day I still take the kids for ice cream, but instead of three scoops I take the single scoop, and on my birthday I am going to have a piece of cake I just won’t go back for seconds. It is possible and it is doable. It was easier than I thought and there are days I really don’t want to get off the couch but once I do and I have put a couple of km’s behind me or some weights in my hand I always feel better afterwards and I’m glad I did. If I didn’t make a change it is very possible I could die relatively young and I am determined to keep that from happening. I am going to get healthy, stay healthy and most importantly enjoy life to the fullest extent possible. My buddy Leigh’s before pics and after pics. He rocks and is ready to roll!! You have no idea how proud I am of this guy! It’s unfortunate that so many of us don’t realize how important our health and lifestyles are until it’s too late. But the good news is that so many side effects of unhealthy eating and unhealthy lifestyles ARE REVERSIBLE. All it takes is a a little effort, proper diet and exercise, and support and love – especially love from ourselves to ourselves. Exercise isn’t always something you want to do. But once you start, it’s true, you DO crave it. Exercise should never be a chore. It should become part of your lifestyle – your day-to-day living – and, eventually, you will enjoy it. Start. And stick with it. 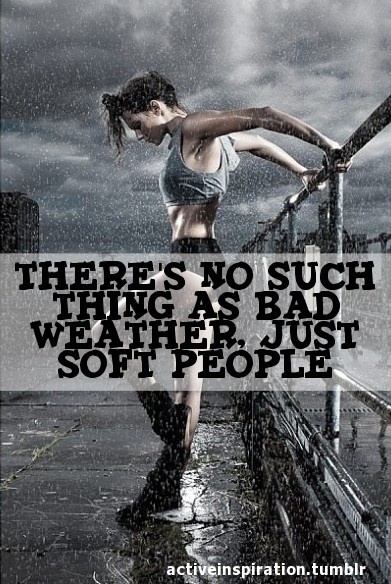 We’re worked out in the piss-pouring rain, too. Nothing has stopped us. We’ve found shelter when we needed it and we’ve trudged through. And we’ve had a B.L.A.S.T.!!! Lose the excuses. When you’re willing to put in the time and effort (without making excuses), you’ll be ready to change your life. Last night my gym friend tagged me in this little stairs workout so, of course, I thought about it all day and had to give it a whirl as soon as I got home. I adored this little workout! I worked up a great sweat and I’m looking forward to doing this again. My only concern with working out on stairs is….well, working out on stairs. I’m a little clumsy and accident prone so I wasn’t cautious at first…but I became a pro really fast. I say, if you have stairs close by DEFINITELY try this workout. Just BE CAREFUL!!! And go check out Brenda Vance on Facebook (because I totally just stole the link from her site and want to give her full props).